"...the author succeeded to get my attention with the main plot but also with the romantic aspects well embedded in the general flow of the story. . . . The pace is an allegro, but there are also scenes in adante and presto tempos, depending on their nature and purpose. As the whole, they support the increasing tension that culminates in a life and death situation. Casualties? Yes. The possibility of a new chapter? Yes, and I cannot wait to read it!" Writing, is rough. Period. I’ve never met a writer who didn’t have periods of extreme productivity, and then periods of desolation. For me, the words are never the issue, its whatever extraneously may be happening in my life that whisks me away from my inner vortex. "It goes deeper into the relationship between Arabella and Henry and the book is also generally a bit darker with lunatic asylums, social darwnism and shady medical practices. . . . I might add that it's also a bit refreshing seeing characters with Aspergers written in a "proper" way and not being a comic stereotype." "I enjoyed the banter/romance between Bella and Henry, and can see readers really enjoying this! . . . I’m so happy that I read this series!" 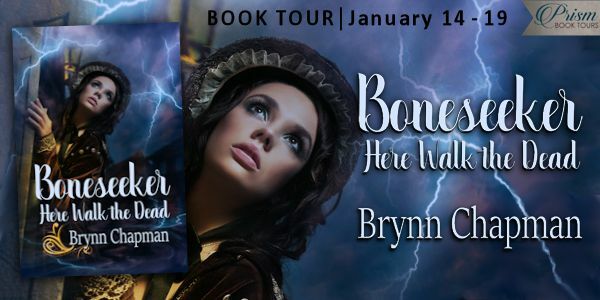 For Fans of the BONESEEKER SERIES, Why the wait? 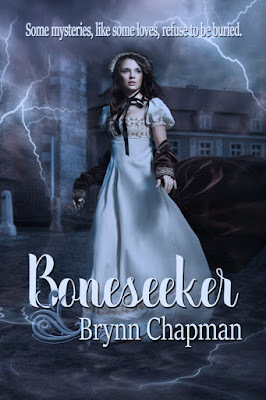 BONESEEKER was released several years prior, with accolades from NY TIMES BEST SELLER Grace Burrowes, “Meticulously researched and terrific fun!” and was that years winner of the Young Adult Golden Leaf Award. Then…..several years past…. Newton bounds out of sight, and we all stumble forward, awkwardly plowing through the gathering mounds of snow. "HERE WALK THE DEAD is a thrilling ride as Bella and Henry try to fit into society's expectations while also trying to figure out why girls keep disappearing and where they go. Recommended to readers who enjoy gritty Gothic mysteries with sizzling romance." In case you’re new to the series…here’s where we are. "a spellbinding adventure, with friends and fiends both old and new, embroiled in one over-arcing sinister plot. . . . Filled with thrills and chills and let's not forget about romance, fans of Sherlock Holmes will love the world this talented author has expanded upon. I adored the development of these characters and the way the plot echoed the struggles our heroes were going through. Excellently paced and rife with wit and charm, Boneseeker is a historical suspense series you will gladly sink your teeth into." I thrash, instinctively wrenching away from the stench of the cloying rag, but too late. There is a simultaneous prick and burn as a needle jabs the crook of my arm. I’ve had too many inhalations. I battle my eyes open. Two men rummage through my personal effects. The carriage—gone. In an instant, I am slung over one of their backs, dangling limp as a child’s rag- doll. I leave The Bell in Hand and stand stock-still in the middle of the road. The moon is white and full as a pearl, suspended in the black, sooty sky. I cannot go home and face my dreary one-room solitary confinement at the boarding house. Staring at the ceiling as the uninvited images of Arabella enter my weary mind. 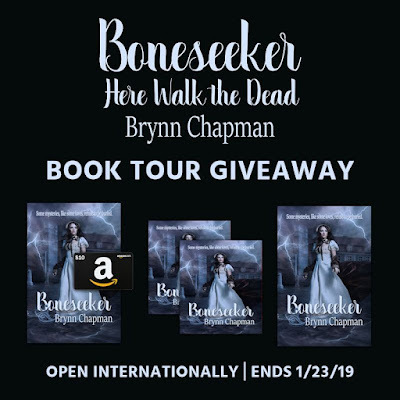 "Boneseeker: Here Walk the Dead by Brynn Chapman is a compelling novel. Very different from the first one but still very Sherlock Holmesy. His daughter though is at it again and getting things done her way. . . . I am still in love with Holmes and Watson the next generation. . . . I recommend this book to fans of Sherlock. It is a good read." What was your favorite character to write and why? Henry and Bella have been living in my head for a very long time now…so, just like my children, I love them for different reasons. I love Henry for his heart, his compassion, and his fearlessness under fire. And his uncompromising love for Bella, no matter what the rest of the world thinks. I love Bella for her complexity. Her innocence, and her pain, and her courage to continue to try to connect with Henry and others she loves, despite it being nearly unnatural for her. "This is an eerie, compelling tale. . . .The characters are diverse, intriguing and the reader will feel involved in their lives. . . . it was a very captivating tale." "Book two of the Booneseeker is even better than the first book! . . . The added characters are [just] as diverse and interesting as those in the previous novel. . . . The tale ends solidly, leaving the reader eager for more." "This is one suspense filled and fun read. I had to have it read in one sitting. . . . I hope there will be another book in The Boneseeker Chronicles series. I enjoy catching up with Arabella and Henry and seeing what adventure they will get into next. They are quite the pair and I love how they interact with one another. . . . 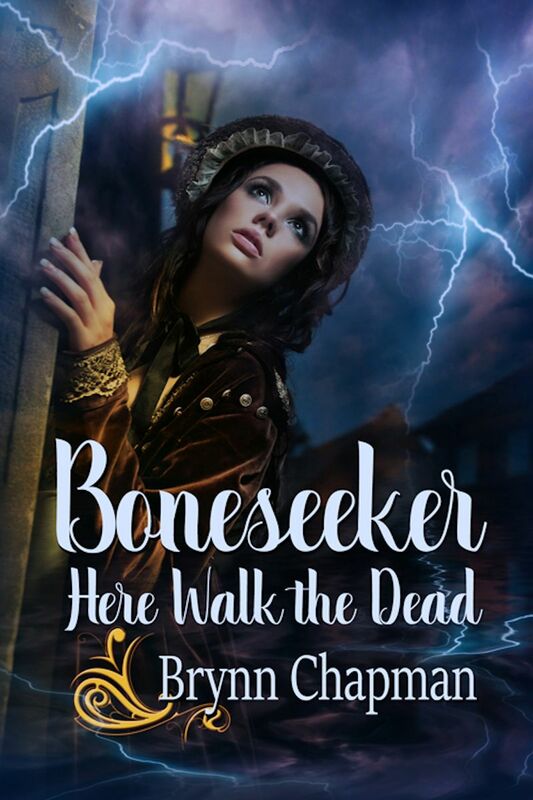 I recommend Here Walk the Dead, as well as, the beginning to this series, Boneseeker. " As I write historicals, I do my utmost to visit if not the actual place, then a facsimile of it. There is not a substitute for experiencing the sights, smells and sounds of wherever a book takes place. "Here Walk the Dead is a wonderful follow-up to Boneseeker. . . . you are going to love Here Walk the Dead. . . . I love this story because it is super suspenseful, and much of the plot is historically accurate. . . . I highly recommend Here Walk the Dead and Boneseeker!"